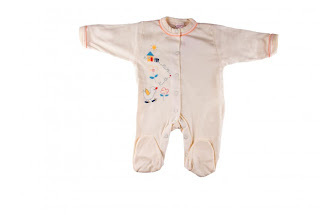 Winning Startups: No more style for babies? No more style for babies? I have a list of successful companies I want to write about but apparently I was too late on this one: I just read an article that the store Babystyle filed for bankruptcy. Say it isn’t so. They offer high priced baby/toddler and maternity clothes in their little boutique shops. My daughter was given a jumper from there and I gotta admit she lived in that thing. I recently went in the store, was the only one in there besides two salespeople, and no one acknowledged my presence. I remember seeing a $70 pair of jeans there and nearly fell over upon seeing the price tag. They became “famous” by selling to a lot of celebrities like Liv Tyler and Elisabeth Hasselbeck. They were founded in 1999 and last year they acquired Cadeau Maternity. Check out this article to read about their demise.